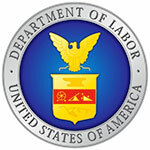 The U.S. Department of Labor’s (DOL) Wage and Hour Division (WHD) is conducting a nationwide initiative to strengthen compliance with the labor provisions of the H-2B temporary visa program in the landscaping industry, in order to ensure compliance with federal wage laws. The initiative will provide compliance assistance tools and information to employers and stakeholders and include conducting investigations of employers using this program, according to the U.S. DOL. The landscaping industry employs more H-2B workers than any other industry, according to the U.S. DOL. 1 Comment on "U.S. Department of Labor to conduct H-2B education and enforcement initiative in landscaping industry"
Marisa, the DOL press release was quite misleading. When it says “Last year, WHD investigations found more than $105 million in back wages for more than 97,000 workers in industries with a high prevalence of H-2B workers, including the landscaping industry” it infers that H2B employers were fined $105 million, but in actuality it referred to all industries which have a very small percentage of H2B workers in their larger workforce/s. This includes not only landscaping but reforestation, food processing, hospitality and others. What is really occurring is that DOL and USCIS are engaged in a frontal assault on H2B employers in an unfortunate effort to discredit both the employers, who are merely trying to hire reliable, legal workers, and the program itself. Shame on President Trump for permitting this to take place — he uses both H2B as well as H2A workers and knows better.